Working spaces are available for renting in a fully-serviced, air conditioned and technologically equipped business centre, which provides secure parking facilities monitored 24/7. Here, you will also benefit from professional staff to support your business requirements. 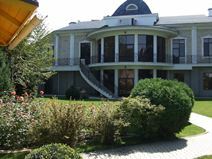 These office spaces are situated in a dynamic and developing business area of Almaty, and are offered at a very convenient price. Office space prices ranging from лв600 - лв200000 per month. Strategically located on a prominent avenue in a prestigious business district, this outstanding centre will provide you with furnished offices, administration support and 24 hour access/security. The friendly reception team will ensure your clients and telephone calls are greeted professionally. Outside of the centre is a spectacular vista of mountains and a number of restaurants and cafes where you can enjoy lunch breaks as well as after work meetings. 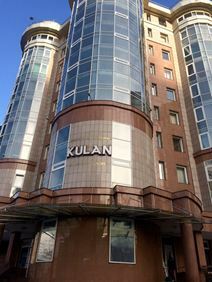 A selection of brand new offices and working areas are available in the centre of Almaty. They are provided with new furniture and modern facilities and benefit from Virtual Office services and from a professional staff supporting your business in any administrative, secretarial and receptionist tasks, answering calls, handling mails, faxes and messages. These office spaces are located in the financial district of Almaty, close to the city centre, luxurious hotels and important offices. 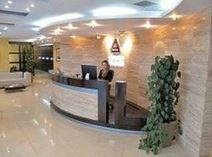 Located in the central business district of Almaty this business centre creates a comfortable and productive environment for professionals. Included in the price is access not only to fully equipped work stations but also access to conferencing rooms, in-house IT support, a beautiful reception, printing facilities and a communal kitchen with complimentary beverages. The area is ideal in the heart of the city, with plenty of public transport links and nearby public car parking. 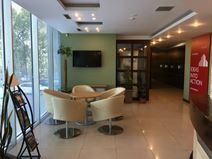 Found in the trading and cultural hub of Almaty, this centre in the heart of Kazakhstan offers modern and contemporary office solutions with private offices, coworking spaces and virtual office options. Comprehensive business services are included such as legal advice, accounting and tax services, human resources, auditing, business processes and certification. 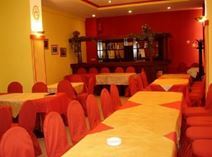 The location is ideal with plenty of public transport options, buses pass through the area frequently and the nearest underground station is only a short walk away. The neighbourhood is also home to several other corporations, and the surroundings have plenty of options for restaurants and cafes. With a number of tariffs to choose from to suit your business. this modern flexible office space is located in the center of Almaty. in an area that is undergoing constant development. The business centre also provides views of the mountains. You will have access to the space's conference room, meeting room, office services manager, appliances, furniture, high speed internet, free workshops, and mentoring. This space is already appreciated by people of small to medium-sized businesses, and is suitable to any businesses of any background. The flexibility of these spaces makes hiring very easy, with an all-inclusive price for your convenience. The centres has a wide range of small offices to choose from, with lifts installed for your ease. Work spaces are designed in a modern manner, in a relaxed and serene environment to promote productivity. Within walking distance you can easily access the Forum shopping mall, which is newly built and has plenty to offer. From a modern Grade A office building this business centre provides fully equipped offices in the rapidly expanding Samal business district; a 10-minute walk from the centre of the city and a five-minute walk from a shopping centre providing amenities including shops, restaurants and a supermarket. At this centre, you will enjoy 24-hour access with round the clock security, high-speed internet and excellent furnishings.